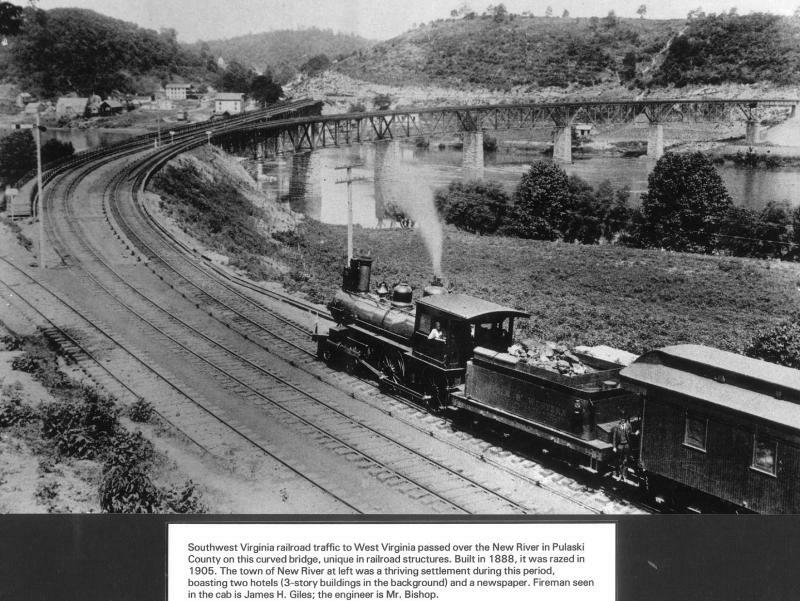 Southwest Virginia railroad traffic to West Virginia passed over the New River in Pulaski County on this curved bridge, unique in railroad structures. Built in 1888, it was razed in 1905. The town of New River at left was a thriving settlement during this period, boasting two hotels (3-story buildings in the background) and a newspaper. Fireman seen in the cab is James H. Giles; the engineer is Mr. Bishop.